NEW DELHI: Prices of food items are under control and there is no need for panic, the government declared on Tuesday in the Rajya Sabha which took up an impromptu discussion on inflation on the opening day of the Budget session after the opposition pressed for it. The short-duration discussion saw the government put all the blame for the current situation on food prices as also the recent hike in railway passenger fares and freight and diesel prices on the previous UPA government, saying it had inherited a "legacy" from it. During the debate, the opposition, including Congress, BSP, SP and Trinamool Congress, ridiculed the government and NDA's poll slogan of 'achhe din' (good days), wondering whether it was reflected by the rise in prices of food items like onion and potato and hike in rail fares and diesel cost. 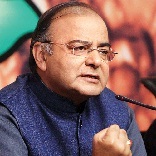 Finance Minister Arun Jaitley, while replying to the discussion, said the 41-day-old Narendra Modi government had taken immediate steps to contain prices of food items unlike the previous dispensation during which cost of onion rose even up to Rs 100 per kilo. He said the government was being attacked even though it was yet to outline its financial roadmap in the Rail Budget to be presented tomorrow and the General Budget on Thursday. Members of the opposition, including Congress, BSP, Trinamool Congress and CPI(M), staged a walkout, expressing dissatisfaction over Jaitley's reply. "Government is committed to contain it (inflation) because we consider it a serious and sensitive matter. There is sufficient supply (of potato and onion) and therefore there is no reason for panic," the Finance Minister said. Jaitley said that Food and Consumer Affairs Department would continue to take steps to contain the rise in price of onion and potato and noted that the output of these two essential kitchen items have increased. Food Minister Ram Vilas Paswan said strict action would be taken against hoarders and middlemen as they are responsible for price rise. Listing the steps already taken by the government, Jaitley said the Centre has issued directive to the states to crack down on hoarding, put a cap on stockholding and hiked minimum export price for onion and potato. "For the last two years, prices of onion and potato have been rising. The then government used to wake up after prices had already risen....We started taking steps immediately when the prices touched Rs 25 per kg," he said. To a specific question by CPI(M) leader Sitaram Yechury whether futures trading on various farm commodities would be banned, the Minister did not give any commitment but said "the government will keep the suggestion in mind." Responding to the attack on hike in 14.2 per cent hike in rail passenger fare and 6.5 per cent raise in freight charges, Jaitley said this decision was actually taken by the UPA government on February 11 and the present government only implemented it. Railway Minister D V Sadananda Gowda, Jaitley said, had a "Hobson's choice" as railways' financial health was extremely bad. "Does he (Railway Minister) follow the weak-kneed policies of his predecessor that unpopular decisions can't be taken even if they are in national interest or does he then take this decision and place this fact before the country that to run the railways this decision was necessary," he said. Jaitley said that although the decision to raise the rail fare and freight was taken with the approval of the then Prime Minister in February, it was withdrawn within hours of implementation on May 16 as the UPA realised that it was being voted out of power. When targeted by TMC member Derek O'Brien, he hit back indirectly targeting Trinamool chief and former Railway Minister Mamata Banerjee, saying, "I do not know whether those who handled railways in the past are the original sinners for the current situation." On the Re 1 hike in diesel price, the Finance Minister said the government is implementing the previous UPA's policy of gradual monthly increase.